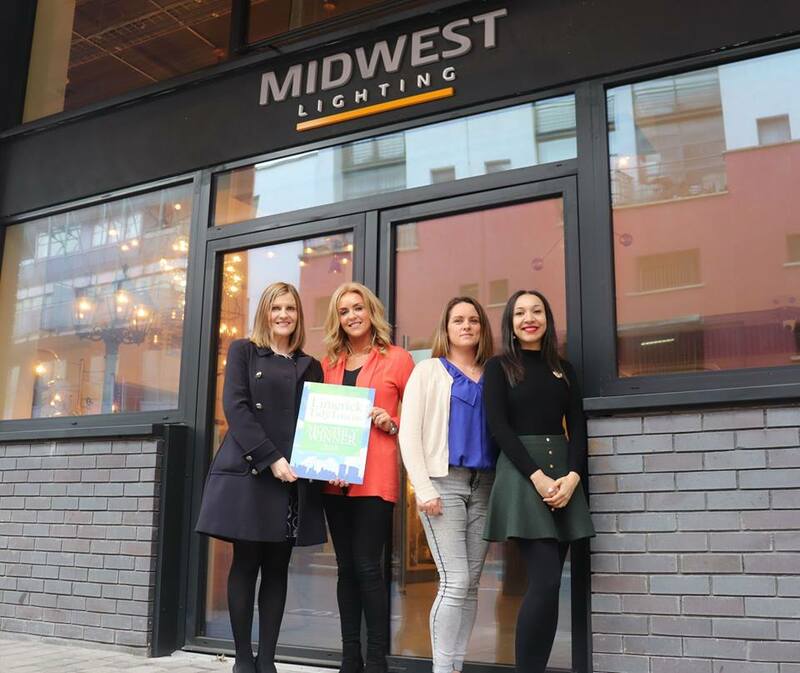 The Limerick City Tidy Towns monthly award for March 2019 has been presented to Midwest Lighting for their new showroom on the Dock Road. Pictured outside the shop being presented with the award by Maura are Sharon Nell, Sarah Linnane and Patricia Horan. (Photo: Conor Owens/ILoveLimerick). This winner was a pretty easy one for us to choose as Maura drives past it every evening on her way home from work and couldn’t help but notice how great it looks, and what an impact it has had on this part of the Dock Road. The new windows and exterior signage combined with the beautiful interior designed by local designer Tullio Orlandi has transformed this previously empty unit. As you would expect, the lighting is particularly striking and welcoming, which is of great benefit to this part of Limerick on one of the busiest access and exit routes to the city. The fact that Midwest Lighting also have an entire section devoted to low-energy lighting, which offers suggestions for suitable low energy equivalents along with an energy audit program, is also very much in keeping with the Tidy Towns ethos. Midwest Lighting is an Irish owned operation serving the Mid-West for over 20 years. They were previously based at Steamboat Quay where they welcomed thousands of happy customers over the last decade, before moving to their new showroom in early 2019. While the showroom is easily accessible to all customers, for added convenience they also run an extensive on-line shopping experience via their website www.midwestlighting.ie. They stock everything from the very latest in eco-friendly, low energy lighting through to the very latest lighting fashion statements for homes or businesses. For more information, visit their website, give them a call on 061 319118 or simply drop in to their beautiful new showroom. 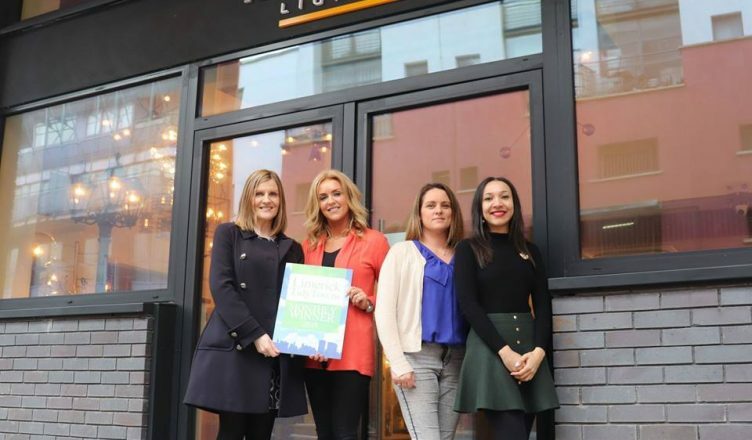 Midwest Lighting is Limerick City Tidy Towns’ third winner for 2019, following Mint Boutique in January and Bakehouse 22 in February, and all three will be in with the chance of winning this year’s overall prize at our annual event to be held early in 2020. The overall winner for 2018 was awarded to The Life Centre, Home of Abundant Life Church at the annual Limerick Tidy Towns 2019 event recently held at No 1 Pery Square Hotel.